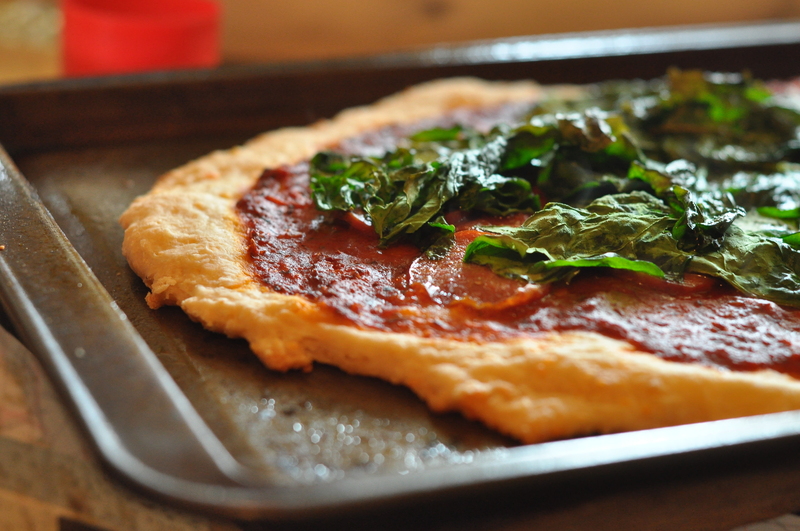 So remember back in the early days of this site three years ago, when I wrote a post about beer pizza dough and included a recipe? No? Oh thank god. Good. Don’t try and search for it. Just keep reading. After a few years of making pizza at home, I’ve figured out a recipe that works for me. It’s fast, it’s simple, and it’s damned tasty. Beer in pizza dough sounds like such an odd combination, but I assure you the taste is divine. Even more fun is that the taste is different with each beer you use, so there’s lots of room for experimentation. Personally, I find that a good Weisse provides a nice light flavour to it. If you do this right, you’ll get a crisp, thin dough with the sharp flavours of the extra old white cheddar and the subtle dry sweetness of the Weisse. So a couple of disclaimers here. Firstly, and please don’t hit me, I don’t usually make my pizzas with cheese on it. Weird personal preference I know, but that’s just the way I am. The second is that in regards to pizza sauce, there so many personal preference on that. Some like to make their own, others like to get some more upscale stuff…it’s all good. However, if you can’t get a hold of/don’t wish to use other things, I usually get the cheap, $0.97 Unico cans and add whatever I want to it while spreading it out on the dough (Usually Buffalo Sauce or Siriracha). There are other options, but this one is mine for the moment. So shall we go on to the recipe? Alright then, here we go. 1. Mix the flour, salt, parm, and cheddar in a large mixing bowl and then pour in the beer. Mix with your hands until you wind up with a large, slightly sticky ball of dough. 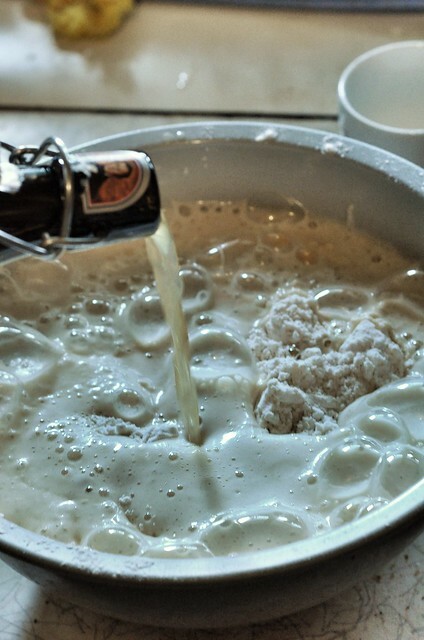 Really make sure you have a large bowl, as that beer really bubbles up. 2. Leave for 15 minutes to half an hour. Maybe watch an episode of Food Party. It’s a good cooking show. 3. Split the big dough ball in to two. Keep one and put the other in the fridge for another day. 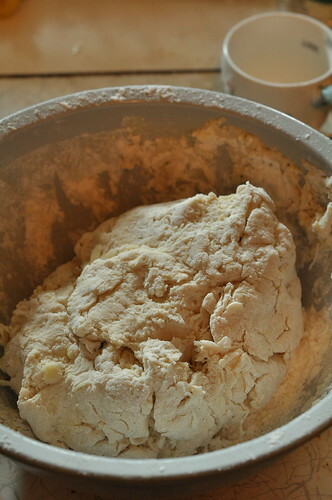 Flatten the ball of dough you have on a floured surface to be as flat as you can get it. 5. Put your ingredients on. Give it one last quick run through with the oil spray. 6. put it 425F oven for 15 minutes or until crust is golden brown and crispy. Always looking for new ways to make my pizza crust. Thanks! OMG that sounds like it would be so good. My husband loves homemade pizza and i will for sure try this recipe Thanks so much I enjoy your site!! What a lovely combination. One of my favorites, for sure! Will try this recipe hopefully soon. Any recommendation on beers, or more towards craft style beer? How does the flavor pair with the style of pizza sauce? Ohhhh, Im so excited to try this experiment. Thank you! !